Cost is a factor in just about every consumer decision we make, whether it’s which pizza shop we are going to order from or what make of car we are considering for our next mode of transportation. We work hard for our money and we want to get the most value for our dollar. It’s no different when it comes to our healthcare and the costs associated with our healthcare. With medical costs continuing to rise, the cost-effectiveness provided by chiropractic is key to it’s rising popularity. We’ve all experienced a situation where we went to a doctor’s office for what we thought would be a relatively simple and inexpensive visit. The next thing you know, after you get all the tests and medications, you’re hundreds of dollars in and unsure whether any progress has been made in treating the reason for which you scheduled an appointment. Even with insurance, deductibles and co-pays make visiting your medical doctor effectively unaffordable for many people. A sore back from the gardening you did over the weekend could end up putting you in a $1000 hole before you know it. 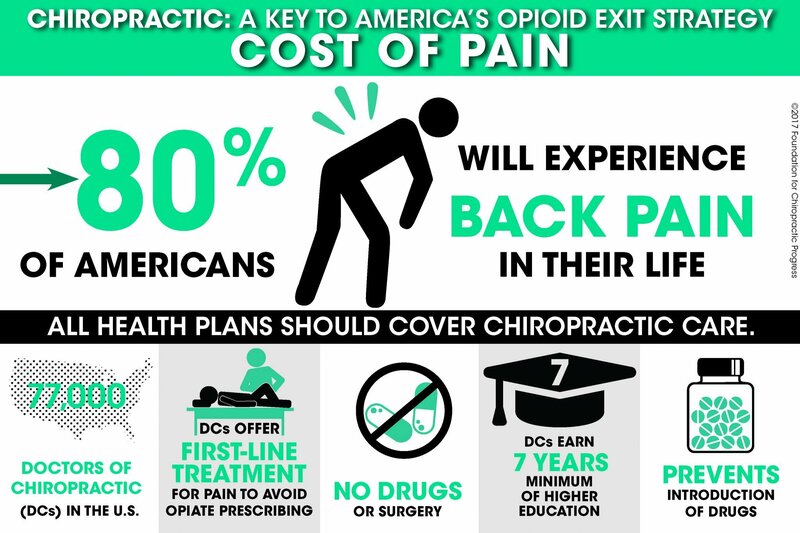 In a case like this, it would be much more affordable to visit a chiropractor and allow them to develop a treatment plan designed specifically for your condition. An average visit to a chiropractor ranges from $40 to $60 and many insurance plans cover chiropractic care. With such a difference in prices, you could likely go through an entire 12-visit treatment plan with a chiropractor for the same amount one or two visits to a medical doctor would cost you. Additionally, you won’t be prescribed any costly and potentially dangerous pain medications as your chiropractor will treat the source of the pain instead of masking the pain with medications. Chiropractors focus on providing long-term pain relief by addressing the source of the problem, therefore leading to fewer visits in the future and overall lower healthcare costs. The ways in which chiropractors help keep down the costs related to healthcare are numerous. In addition to focusing on long-term results leading to fewer visits in the future, chiropractors are extremely effective in diagnosing the root of the issue which eliminates the need for excessive testing and imaging. Chiropractors also can suggest lifestyle changes to help the patient help themselves become healthier. Also, chiropractic is a huge deterrent of back surgeries which are some of the most expensive medical procedures and often lead to many post-surgery complications that can add even more cost to the process. In short, chiropractic helps the patient live pain free while also reducing the financial burden that is often felt when visiting many medical doctors. If you are tired of paying outrageous healthcare costs and not getting the pain relief you’re looking for, Advanced Chiropractic & Rehab may be able to help. Give us a call at (330) 726-7404 to set up a consultation and we’ll see what we can do to help you improve your daily quality of life. We have been servicing the Youngstown and Mahoning Valley area since 2001 with convenient locations in Boardman, Hubbard and Kinsman. At Advanced Chiropractic & Rehab we are a multi-disciplinary rehabilitation group that treats work comp injuries, whiplash, sports injuries and specializes in much more than just lower back pain. I totally agree that doctors of chiropractic can help reduce healthcare costs, but chiropractic is a term that represents a profession not a specific method per se. Doctors of chiropractic medicine provide many non-surgical services, including physiotherapy, many forms of manual therapy, exercise and rehabilitation, as well as nutritional and lifestyle advice.